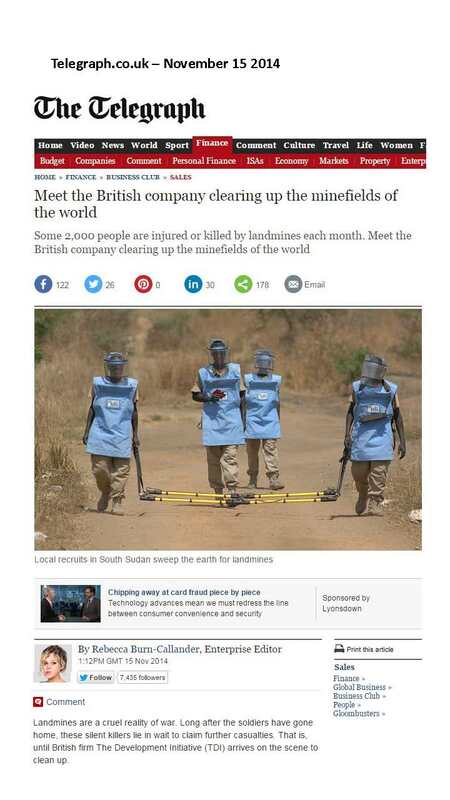 Landmines are a cruel reality of war. Long after the soldiers have gone home, these silent killers lie in wait to claim further casualties. That is, until British firm The Development Initiative (TDI) arrives on the scene to clean up….